Large selection of genuine used Mini spare parts at competitive prices. Buy online for immediate despatch or collect from our depot in Bradford, West Yorkshire. You can view and purchase many of our parts by clicking on the relevant categories on the right. All our Mini spare parts are guaranteed for 60 days from date of purchase. 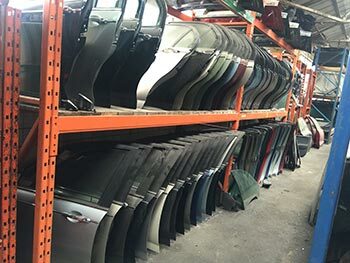 We offer a nationwide delivery service but parts can also be collected from our premises – we are conveniently located allowing easy collection for customers in Bradford, Leeds, Huddersfield, Halifax and the rest of West Yorkshire. Please contact us if you don’t see the parts you require. As we are regularly breaking various models of BMW mini we always have a good choice of fully tested low mileage mini engines and gearboxes in stock. We also have also reconditioned mini gearboxes available. If you don’t see the mini part you require on this website we may still have it in stock so please contact us.